This probably isn’t the best time to admit that I’m not a fan of zucchini. And when I say “not a fan,” what I really mean is that I hate it with a vengeance. As in… it’s on my hit list, and you will be too if you try to feed it to me. So please don’t. I have a feeling that my disdain for the squishy summer squash has something to do with the handful of really bad experiences I had with things like zucchini noodles and soggy baked zucchini “fries” that I experimented with back in the day before I had any sort of idea as to what I was doing in the kitchen. Those recipes should come with warning labels. Seriously. Needless to say, zucchini and I didn’t start off on the right foot and I’ve been giving it the stank eye ever since. That’s why I’ve never been able to understand why people would put it in things like loaves and muffins. Never. Like… why on earth would you ruin a perfectly good dessert by lacing it with a squishy squash? Say hello to the newest batch of flourless muffins to grace my kitchen counters — flourless chocolate zucchini muffins. Yes, zucchini. I can’t really tell you what prompted me to throw a zucchini into these guys, other than the fact that: a) I believe in second chances, b) we’re going into summer and zucchini is in season, and c) I wanted to see what all the fuss was about. These may just be some of the softest muffins I’ve ever had the pleasure of eating. That being said, I don’t recommend being sneaky. I mean, you’re looking at a girl who still has trust issues stemming from the fact that the cookies her mom told her were chocolate chip actually turned out to be raisin. Mmm hmm. Like I wasn’t supposed to notice that one… I know it’s hard to get kids to eat healthier and all, but you don’t lie about chocolate. You just don’t. Then again, I’m probably not one to talk, seeing as I may have omitted the ‘zucchini’ part when I told my taste-testers what I was giving them, but that’s only because I wanted to see if it really was as undetectable as I thought. And it was. These muffins are super soft and super chocolatey. 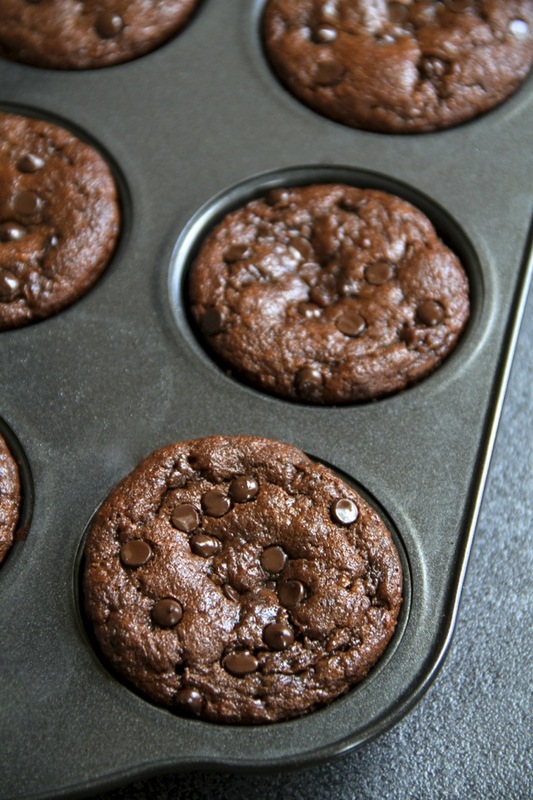 They’re a little denser and fudgier than your average muffin because of the fact that they don’t have any flour to fluff them up, but that just puts them somewhere between a muffin and a brownie, which is never a bad thing in my books. They’re gluten-free, grain-free, dairy-free, oil-free, refined sugar-free, and 100% crazy delicious. And the best part is that you only need about 5 minutes and a blender/food processor to whip them up, followed by 20 minutes of delicious smells wafting out of your kitchen. 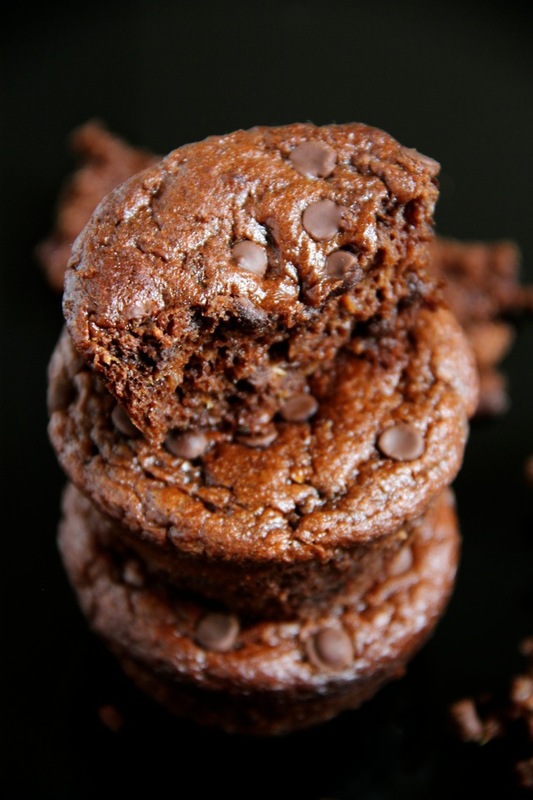 So whether you’re looking to get some more veggies into your diet, or you’re just in desperate need of a soft and chocolatey muffin, then I definitely recommend giving these flourless chocolate zucchini muffins a try! Pour batter into prepared muffin pan, filling each cavity until it is about ¾ full. Sprinkle with additional chocolate chips, if desired. * You can sub almond for your favourite nut butter, OR use a sunflower seed or soy nut butter to make these nut-free. What’s one veggie that you’re not a big fan of? Are you guilty of sneaking secret ingredients into recipes without telling anyone? « . thinking out loud #133 . These look SO good!! I love zucchini, I love chocolate.. win-win in my book. I’m trying to click on 5 stars but only 2 stars are showing, if my rating ends up with 2 stars, that is incorrect. This is an awesome recipe! It did post with 2 stars ~ if you’d like me to redo my reply, please let me know how. This is 5 stars, seriously! I made these a third time. I didn’t have quite enough zucchini so I added a grated (peeled) apple as well as the banana. They didn’t look as perfect as they did yesterday and I should have left them in for 30 minutes rather than 25, but they were still very good. I again added 2 scoops (maybe about 4 level tbsp of pea protein powder and could probably up it a little more. I’ve used Now pea protein and Source Naturals in baking and they’re both great. I also forgot to mention I have been using natural peanut butter rather than almond butter. I’m going to try your pumpkin muffins soon. This recipe is awesome! Thank you so much. Made these a fourth time to console myself after the devastating election results. I used more zucchini, a medium banana, peanut butter, maple syrup, oh and I’ve been adding a pinch of salt. I actually forgot the pea protein powder and they were awesome. I kind of eyeball everything rather than measuring and today they turned out the best of all, even warm. I’m just so pleased to have found a recipe that works with absolutely no flour or grains of any kind. And as a Canadian, I extend my condolences to your country on this very sad day. Your confession is way too timely because Adam just admitted the same thing to me the other night, I guess the zucchini “fries” came out a bit too soggy and he just couldn’t take it anymore 🙂 Zucchini is not my favorite but it’s good once in a while, I do think it’s better for baking than by itself! These look too good! ha! been there. slimy zucchini and squash is never fun. But thank goodness for this recipe, now we can eat our squash with chocolate! or vice versa really. LOL! Love your muffin recipes! I make them for my 3 year old all the time and he loves them. Can’t wait for him to try these. Aww I’m glad your little guy loves them, Teresa! Amanda – WOW – just Wow! These look fabulous – and they are flourless???? Dang! 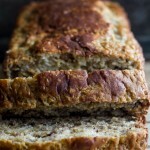 Oh, btw, I sent you an email – I hope you don’t mind me “beetifying” your banana bread recipe? With links back to your original? Whooboy I did not see this one coming! Say what *jaw hanging* ? You’ve turned rogue on us. Actually I kid…that was my first thought however. And then I read on…do you have any idea how positively persuasive you are? Because I completely hundred percent believe you 😀 . YUM! You can’t even tell there is zucchini in there girl! This looks really good. My mom makes a mean chocolate zucchini bread. We used to enjoy it as kids. I haven’t had it in years though! I have been trying to find a way to make my own zucchini muffins that taste like chocolate since I tried the Garden Lites version…and these seem like they’ll be AH-MAZING! It’s a sad sad fact, but I just cannot eat tomatoes, they’re just too acidic for me. Eggplant and mushrooms are also a no go. I can’t handle them. It’s a texture thing. Sometimes I put protein powder into my baked goods and just never end up telling anyone. If they can’t taste it and it’s good for them, why not! Same with substituting apple sauce for oil. 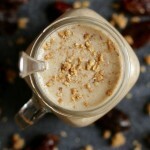 : ) I can’t wait to make these now that I have a blender that can handle this recipe !! Thanks so much for sharing! Hope you have a fabulous day! Definitely going to make these! I like sneaking foods in my baked goods and I have yet to bake with zucchini. I don’t love zucchini unless its grilled really nice by someone else lol. It’s pretty good in zucchini marinara too but sometimes, I really dislike the vegetable. Can’t wait to make these. Is it 1 cup of zucchini pre or post squeeze? Thanks for a delicious looking recipe that’s paleo friendly. Mine was a cup pre-squeeze, Sue. But it’s really just a rough estimate with the zucchini, so you don’t have to worry about being too exact with it. i was literally just thinking about what i wanted to make with the 2 zucchini in my fridge and this. is. it. I can say I love all veggies. The one I never eat is radish only because it’s flavor is so BAM you barely taste anything else!! I love zucchini muffins and breads! SO SOFT AND SQUISHY! Now I’m salivating and wishing I had a zucchini. I’m not a huge fan of it raw, but it’s not tooooo bad. Did you ever have it sautéed?! Confession: I’ve actually never eaten a radish. Which is crazy considering that both of my parents love them. And I’m not sure about the sautéed zucchini… I’m going to go with no because of how much I usually avoid them. Have you tried cooking radishes? I find the raw flavor seriously overpowering as well, but roasting/sauteeing/grilling/boiling/etc. completely breaks down that stroooong flavor and leaves you with a beautiful, mild one – definitely worth a try! try roasting radishes with a pan of other root vegetables. the taste is wonderful when roasted! I actually love zucchini! I eat then very very often however I haver had one for a few days now which is a long time for me. I can’t believe these muffins are compel flourless! I thought they’re made with oats like your other flourless recipes. It sounds really really good! These look amazing. I have actually never tried baking a bread or muffins with zucchini. Nice way to sneak in a veggie! These muffins look stunning and I’m digging all the chocolate goodness. I can’t wait to get zucchini in my garden now. Zucchini in baked goods definitely works great – especially in chocolatey ones and your muffins are no exception (judging by looks only but I trust you). If Arman is the No-bake Boy you’re the Blender Muffin Girl 🙂 . Ummm I find great joy from not telling people when veggies are in my treats. Not even sorry. These look fantastic. So basically, now whenever I look at a zucchini all I’m going to be able to think is “squishy squash”. That’s hilarious. As for veggie on my hit list: EGGPLANT. I loooooooooathe it. Chef-friend has promised me an eggplant parmesan that will change my mind, but I’m not getting my hopes up for that one. That’s another one on my hit list! And I’ve tried it in parmesan and it didn’t sway me. But maybe Chef-friend has mad skillz. The only way I eat zucchini is breaded and fried. Yummm! I have never made a chocolate zucchini anything before! That will change this weekend? These look awesome! You definitely have inspired me to bake with some zucchini now.. I never have tried to before. These muffins look great! I actually love zucchini – zoodles, zucchini chips, in soups, in baked goods. These sound good – I’m sure my veggie hating husband will love them when I get around to baking them (maybe today, but then there was the muffin recipe with beets I was gonna try . . . ). So much to bake, so little time, right? The struggle is real! Hehe yeah they’re kind of somewhere in the middle as far as texture goes. But I’m glad you liked them, Katie! Hi! How much yogurt would you use or did you use? I’m not a fan of bananas. Thank you!!! 1 banana is about 1/2 cup, so I’d probably go with that, Bethany. I LOVE how CAMO that zucchini is!!! Not really. The chocolate does a good job at overpowering all the other tastes. I agree, you can’t taste the banana either. I ate a second one just to make sure. So good. Thinking about adding a little coconut or almond extract. Just made these. So good! But I cant eat just one. Do you have a calorie count in them? Could I use a frozen banana, thawed? That shouldn’t be a problem, Teri. I don’t have flax seed. Can I omit or use chia seeds instead? Chia seeds should be fine, Erin. Just made these to bring into the office tomorrow (we have someone with Celiac on staff, so i like making GF treats). They were so easy and turned out exactly as pictured. I had to sneak one to make sure it was good – delicious! I’ll be making these again. These look amazing!!! Wondering what the calories & fat grams are on these? These muffins turned out great! 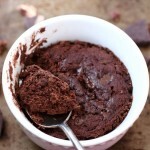 Super simple to make and extremely moist and very chocolatey! Wouldn’t change a thing about the recipe; will make again. I just want to thank you SO MUCH. For the past 6 weeks I have been trying to adjust to my new dairy free, nut free, egg free, grain free diet. The positive is I’ve lost a lot of weight, the negative is, I love food and this diet/lifestyle is boring. I am sick of eating veggies. And I miss desserts terribly. 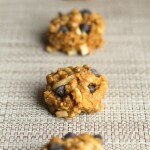 I adjusted this recipe slightly, using a flax egg, dairy free chocolate chips and sunflower butter and they are amazing!!! Finally cakey, chocolaty goodness I can eat!!! these are awesome! so light and spongy. Any substitute for the banana? I absolutely hate bananas! Is it just the taste? Because the chocolate does a pretty good job at covering it up. But if you absolutely hate it, then 1/2 cup of applesauce should work as well! 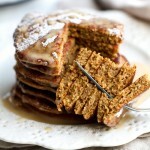 Delicious – and I just used the flax seeds whole. And soooo easy. And soooo moist. These are absolutely delicious and they freeze well too! Just wondering if you’ve ever doubled the recipe? Thanks, Laura! I haven’t, but I don’t see why it wouldn’t work! Can the egg be subbed for a flax or chia egg? Just wondering cause these look divine but I’m vegan. That should be fine, Julia! I’ve had a few readers tell me they subbed in a flax egg with no problems. Do you think peanut butter would work in place of almond? Nut butters aren’t in my budget, unfortunately. Peanut butter would work just fine, Beck. These are delicious! Super cakey and fudgey. I skipped the chocolate chips and added nuts for texture. Could I use earth balance olive oil butter instead? No, unfortunately — it’s too oily and wouldn’t help the muffins hold together. Nut butters work because they have not only the nut oil but the flesh of the nut as well. This sounds great and will try but have a question for anyone….I do not have flaxseed…any subsitutions or will I be ok just leaving it out. thanks! You can sub it with chia seeds if you have those. I’ve had some readers say they made it without flaxseeds with no problem, but it might alter the texture slightly. Thank You!! Just found this site and appreciate your timely response–I have chia seeds so will try that! What a great site ya have and I luv luv luv the “running with spoons” name . Think regular butter work in place of nut butter? I have peanut butter, but I’m not sure I want PB flavor today. Unfortunately, butter wouldn’t work. 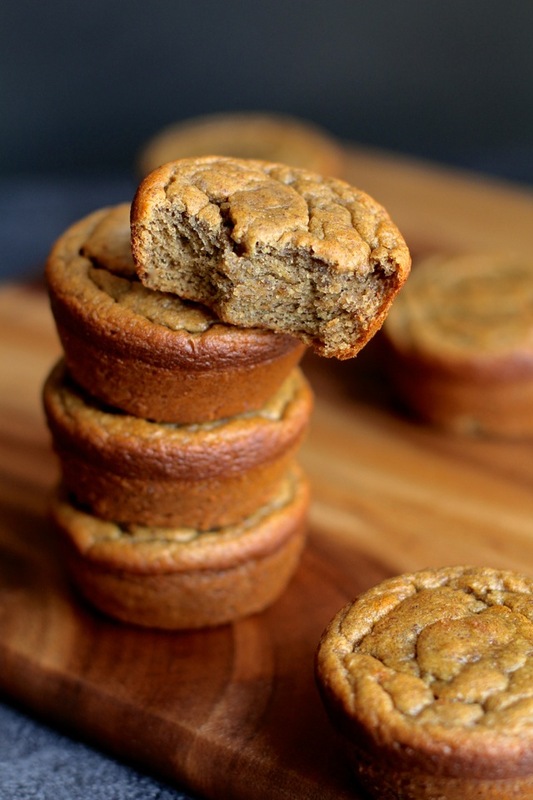 The nut butter helps maintain the shape and add a little bit of bulk to the muffins — butter is too oily. Thanks! I ended up using peanut butter, which worked well and because it’s soooo chocolatey, you couldn’t taste the PB at all. My kids enjoyed these as well. I made these today and they are incredible!! So light and fluffy and they taste delicious! I will definitely make these again! Thank you for the recipe! These are amazing!! Just took them out of the oven! I can’t eat gluten, and I happened upon these. WOW! I’m allergic to bananas as a few other posters mentioned also. I was thinking of subbing in puréed carrots for the sweetness. There is a frozen version of these by Garden Delights that uses carrots so I thought it’d be worth a shot. Cup for cup how much is a medium ripe banana? Like half a cup? Anyone else find a good sub for the banana yet? Yep! 1 mashed banana is about 1/2 cup, Kristin. I’d love to know if pureed carrots work if you end up trying it! And I’ve had a couple of readers say they subbed it with yogurt and that that worked fine as well. Do you peel the zucchini before shredding or not? I didn’t peel mine, Wanda. 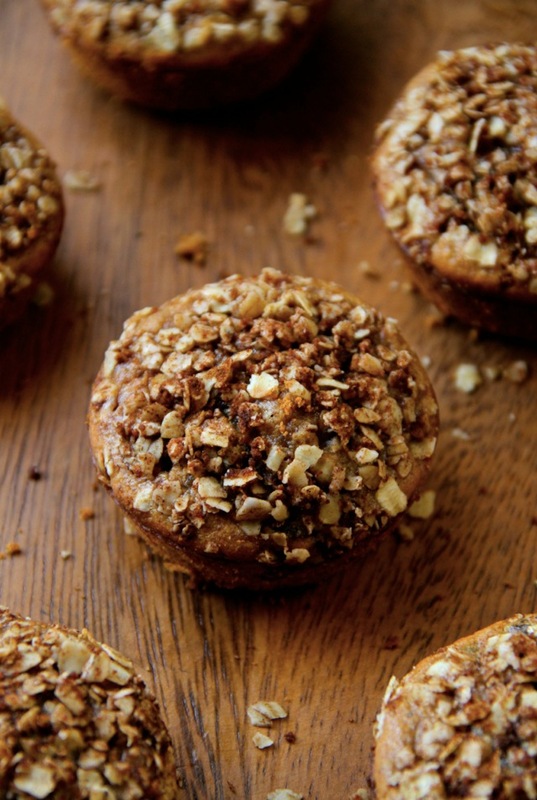 I made these muffins this morning and ate over half the batch by lunchtime… they are amazing! I used peanut butter (didn’t have almond) but otherwise followed the recipe exactly. So moist, so tasty – thank you for the awesome recipe! These are our new favorite way to use frozen shredded zukes from the garden (we squeeze out the liquid after defrosting) and very ripe bananas while making sure our GF/DF friends can enjoy in the yum along with the rest of us. Thank you for sharing it. Are these freezer friendly? I am thinking a nice batch in the freezer! They definitely are! I freeze my muffins all the time with no problem. I doubled this recipe first then I only had baking powder so I doubled that twice and they are perfect! So good! And I bagged them up and got as much air out as possible. I really need my two year old to eat as little sugar as possible but still have something I don’t have to cook in the AM. These are perfect and fluffy and sweet. Yum. The flaxseed helps the muffins “fluff up” a little more, but you could probably leave them out and add either an extra egg or 1/4 cup more oats. So mine were tasty but way undercooked. I noticed on the comment above you referenced adding more oats. Does this recipe call for oats? If I added oats, how much? Thanks! The original recipe doesn’t call for oats, but if you’re having issues with them being undercooked, you could probably add 1/3 cup before blending. Also make sure that your zucchini is properly drained and squeezed of all excess liquid — that could really affect how the muffins cook. Wow! These were scrumptious! I made mine in the mini muffin tin. The batter filled all 24 spots. I figured I could convince my kid to eat a little one, and I could get a “chocotatey-cakey” fix without overdoing the calories and carbs. Hahaha! Now I eat two. Lol. Oo I was just looking to see if anyone made them as mini’s. How long did you cook them for? Hi Jennifer. It definitely could have been an issue of your banana being too large. Did you squeeze out as much liquid from the shredded zucchini as you could? That also could have made it a lot more runny. I was really looking forward to eating these! The centres were not baked through and I left in for 10 minutes longer (30 minutes total). I cooled and cut open and these were not baked through. The recipe was followed exactly, except that I spread the batter into 12 cups. Any suggestions? Hi Lizzie, did you squeeze the zucchini of all the excess liquid? I find that putting grated zucchini between a few paper towels and squeezing really helps get the water out, and that prevents it from being released during baking and making the muffins moister than they should be. I cannot tell you what a fabulous recipe this is. Since I first tried making this over a month ago, I have been making it, on average, twice a week because we inhale them and have not tired of them. My two young boys love them, and I am now doing double recipes, twice a week, so I can get bigger muffins out of them. I fill up a muffin pan, then pour the remaining batter into a small loaf pan so we get a “cake” out of it, too. So so good, and it’s incredible that the texture makes it seems as if there is flour in the recipe! One note — I tried the recipe the first time with only 2 tbs of honey. It tasted great. I went to 1 tbs and it was still a hit. I have now tried it with no honey and it is still awesome and even healthier. Thank you for this great recipe…I have shared it with friends who are just as excited about it! Is there a calorie breakdown for these anywhere? I made them last week and THEY WERE AMAZING. Really wanting to try these! 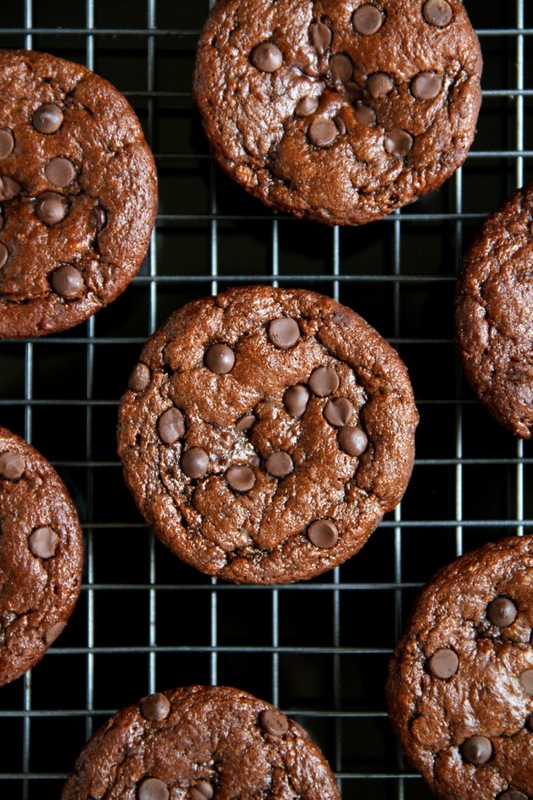 Have you found a chocolate chip that doesn’t have refined sugar? It can be a little tricky. I have one that’s sweetened with stevia, but it’s a no-name brand from a local health food store. You could always sub in some dark chocolate chunks from a dark chocolate bar. 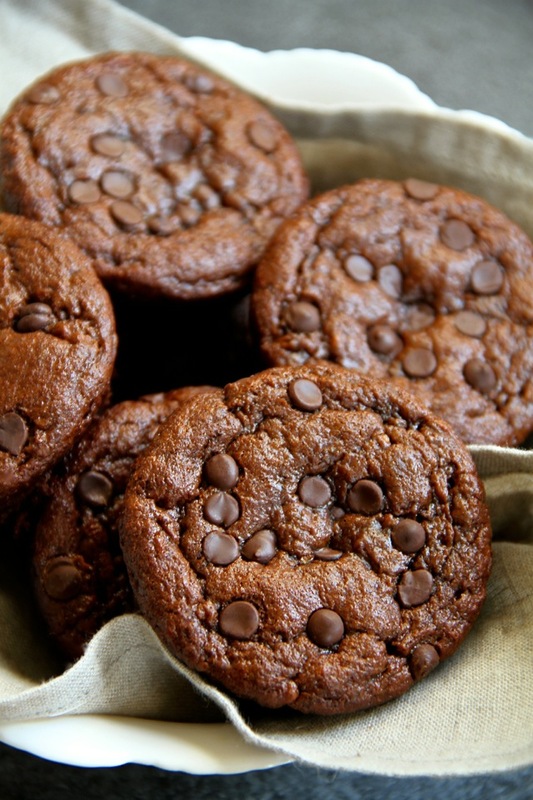 I MUST KNOW – which do you like better, these flourless choc-zucch muffins or the healthy doub-choc-chip-zucch muffins?? I’m considering making both JUST because I must know. Helppp meeeee! Do you know if this works to use maple syrup in place of honey? What chocolate chips do you use that’s refined sugar free? My local health food store actually has a no-name brand that’s sweetened with stevia. Have you checked Amazon? These were awesome 🙂 Especially the texture, you wouldn’t know these are completely flourless !! Help – baking soda – is that baking powder or bi-card soda? 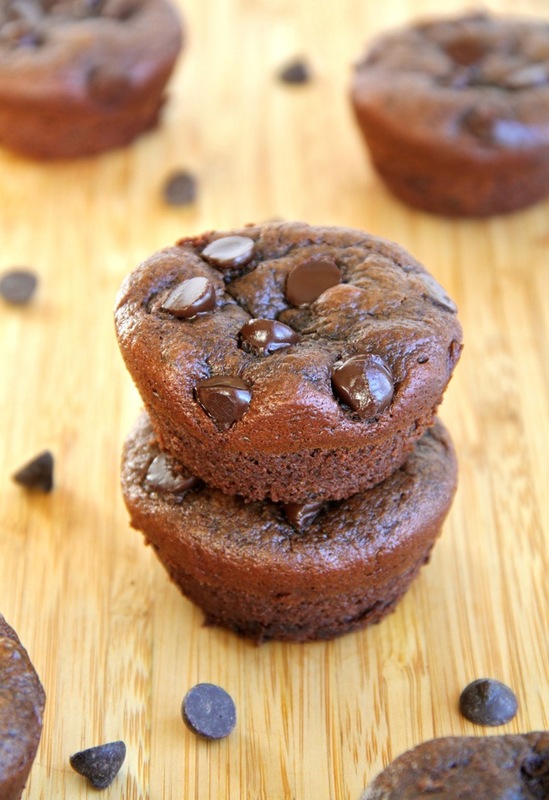 The Flourless Chocolate Zucchini muffins are really good! How long do you think these would take to cook in a mini muffin tin? My friend had just come by a few days ago and brought me some of her homegrown giant massive zucchini from her farm, which of course meant chocolate zucchini bread or cake! Unfortunately our recipe included ingredients such as sour cream, white flour, and more so we couldn’t try that (and honestly I wasn’t patient enough to experiment with the recipe- the cravings hit hard!). Anyway, so I searched for recipes and found this one and tried it out that night. Oh. My. Gosh. These are perfection! You can’t taste the banana AT ALL! (Neither the zucchini!) I subbed chia seeds for flaxseeds, and a 70% dark chocolate bar, broken up into morsels versus chocolate chips. Seriously guys, so worth trying! I can highly recommend this recipe and know I’ll be having it again soon!!!! It helps with the texture and with holding everything together. 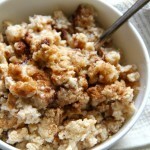 You can try it without, but I’d recommend adding 2-3 more tablespoons of oats. Just made them…yum! I used peanut butter, but I’m thinking an almond butter would be better as per your recipe. I added some walnuts for an extra punch of protein. Great recipe…thanks!!! Baking them now and they smell HEAVENLY. These are very good and smell fabulous as they bake. I left out honey and subbed chia seeds for flax seeds and it was perfect for my taste. Slightly sweet from the banana but not much of a banana taste. For my children I will do them again with a little honey. Thanks!! Is there a sugar free substitute for the honey please? Sorry Susan but I’ve never tried it with anything else so I’m not 100% sure what would work. I was looking for a chocolate zucchini recipe (childhood memories) and found this, my one year old is wheat free so thought I’ll give it a try. Thsee are soo good, dad eats the ones with flour and I steal the babies, next time this recipe x4 (they freeze well) and the whole family can go wheat free for this. Thank you I’m looking forward to following you for more great recipe ideas! Hi! Do you think these will work with all zucchini and no banana? I’ve made them with banana and they’re super good but I try to eat pretty low carb. I subbed vitafiber for the honey and it worked great. Than you for all your recipes! I made these today. SO DARN GOOD. My 3.5 yr old who eats barely anything, certainly no veg, LOVED them. My 7 yr old asked for me to put it in her lunch tomorrow, and my husband just scowled at me as he ate his third 😉 I will be doubling the batch next time I make them! Thanks for a great recipe and getting something green in my little. I don;t often comment on blog posts, but I made these for the first time today and just NEEDED to write and say how much I LOVE them! MY little boy adores them too and keeps demanding more! I substituted half of the almond butter for Tahini as we were running low on almond butter, and it still worked like a dream. Hi Amanda! I have made these muffins numerous times, and they are absolutely delicious. Can’t wait to try more of your recipes. These look delicious! One question–I follow a FODMAP diet for health reasons–this recipe is actually perfect for FODMAPS except for the honey. Could I replace the honey with maple syrup? And if so, would you modify the amount? It would be totally fine to swap maple syrup in, Ellen. And the amount would stay the same. These are so delicious! My 3 year old loves them! Thanks for the awesome recipe. I’ll be trying other recipes from your blog soon! I Just made them yesterday and it is so good. So cholatey, moist and just really good. Do you have the calories per muffin? For the honey, cocoa powder and chocolate chips the measurement in cups is all 1/4 of a cup, but for the grams there all different. I don’t know whether this is a mistake but it is really confusing! The honey is 80g, the cocoa powder is 20g and the chic chips are 60g, however their measurements in cups are all the same!! These look delicious and I’m really wanting to try them. Has anyone tried swapping honey for Stevia? Margarine was definitely the issue, Leesa. A nut or seed butter is a little more solid and bulky, while margarine/butter melt and end up being really liquidy. The only replacement for the almond butter would be something like peanut butter, sunflower seed butter, or soy nut butter. These look scrumptious – could I make them into cookies? These muffins are really great! I had to cook them a few extra minutes and after tasting the first one I sprinkled some fresh mint leaf on it and it was extraordinary! I’ll definitely make these again! Is there a good substitute for the ground flaxseed? 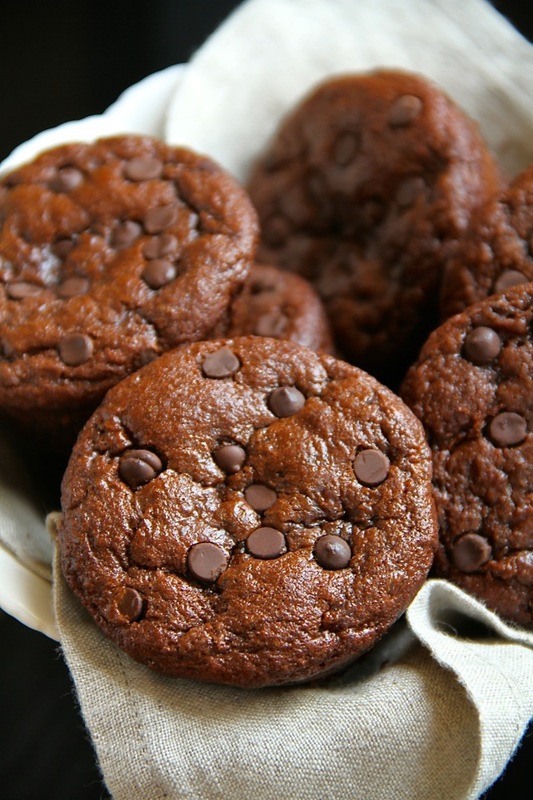 This flourless chocolate zucchini muffins look absolutely fantastic. Beautiful photos, too. I look forward to trying this. I found your post from Pinterest! I’m also gonna pin this post on my Pinterest board my followers will love it. Thx Amanda! I am absolutely in love! Still has to be eaten in moderation as all things, but it definitely helped curve my sugar craving this afternoon and everyone else in my household loved them, including my 4 year old (she hates green vegetables). This is what I’m looking to do. I’ve given up sugar and am trying to find recipes that will curb the cravings. It’s pretty tough! BEST …MUFFINS…EVER!!! Thank you so much for all of your recipes! I have such a sweet tooth but try to stay away from processed foods. Your recipes are the perfect clean eating treat! Yum! I can’t wait to try this! Do the zucchini shreds break down or can you feel their fibrous texture? What can I use to replace the flaxseed? I am a gluten loving baker but I’m trying to expand my baking. I don’t have ground flax seed and I was hoping you could tell me if it is used to replace flour in the recipe? These look so good! 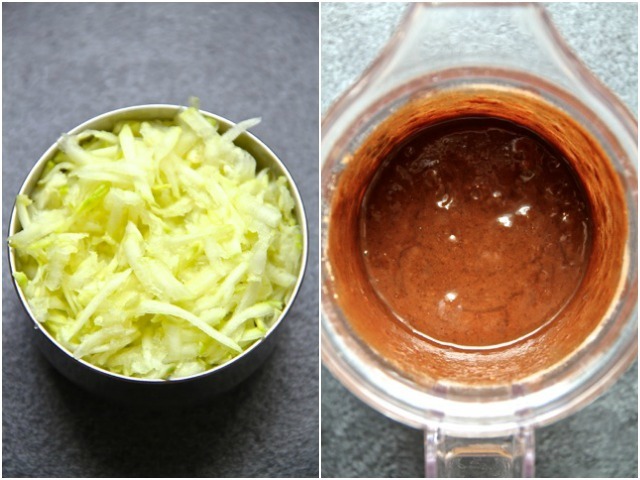 I love zucchini and chocolate – how did you think of this? I’m going to try making these at the weekend – although mine never look as good as the pictures! Gorgeous pictures. I made these flourless chocolate zucchini muffins for the super bowl party and it was a crowd favorite. I’m also gonna pin this post on my Pinterest board my followers will love it. A++ These are VERY VERY good! I am not normally a chocolate person but I had a hankering, saw the great reviews and made them. I added chia seeds instead of flaxseed and maple syrup instead of honey. They baked up beautifully! Absolutely gorgeous! And very tasty. These are not very sweet – and I love that! Thank you for a healthy wonderful recipe. These are perfect with a cup of tea in the afternoon. Hi Amanda! These choc muffins are absolutely the best. I love veggies and love to substitute them in my food for my picky eaters at home. That being said. They LOVE this recipe. My youngest still doesn’t know there’s zucchini in them. Ha! I have a question. Once mine cool, they always deflate. What am I doing wrong? I squeeze water out of zucchini. And follow the rest of the recipe. Could it be my oven? It’s prob from the 80’s) How do I get them to stay full? Any tips would be GREATLY appreciated. Either way, deflated and all, we loooove these muffins. Best flourless recipe everrr! These are phenomenal! And were quickly gobbled up by my whole picky-eater family! Other recipes like this can taste “healthy” and like a sad substitution for dessert but these are absolutely delicious! These flourless chocolate zucchini muffins are so Instagrammable and adorable! As you know I made it a short while ago and it was lovely! Thx for sharing!